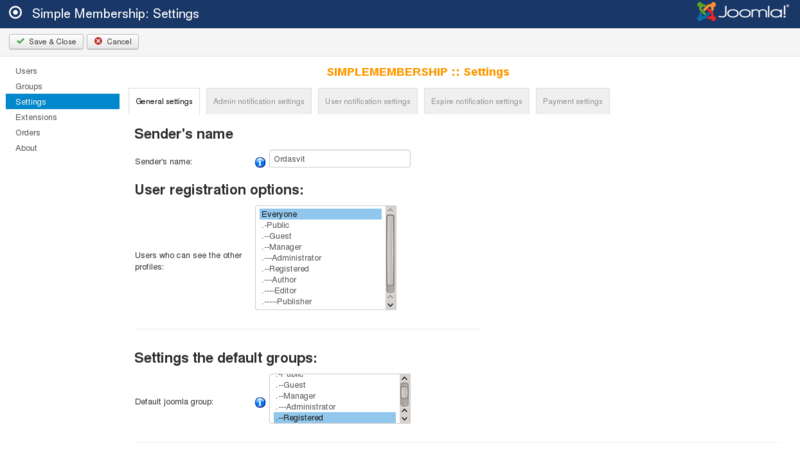 In Simple Membership there are five groups of settings: General settings, Admin notification settings, User notification settings, Expire notification settings, Payment settings. User registration options - In this field you can select users who can see the other profiles. 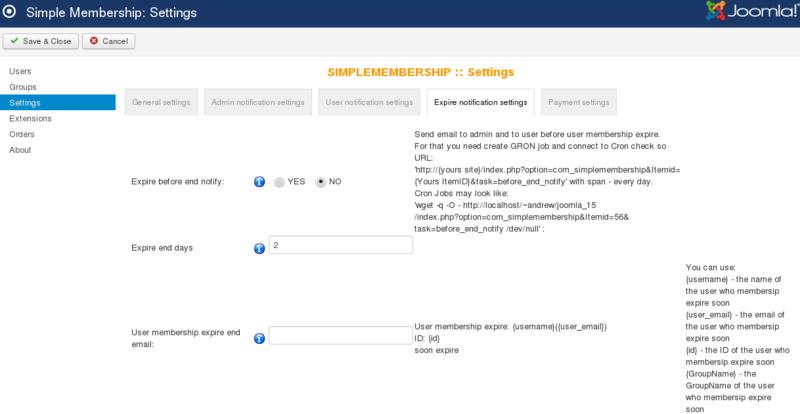 Settings the default groups - You can specify Default Joomla group, in which user will be sent after the end of his period of stay in the Simple Membership group. Emails of administration - In this field you should add your email, if you want receive admin notification. 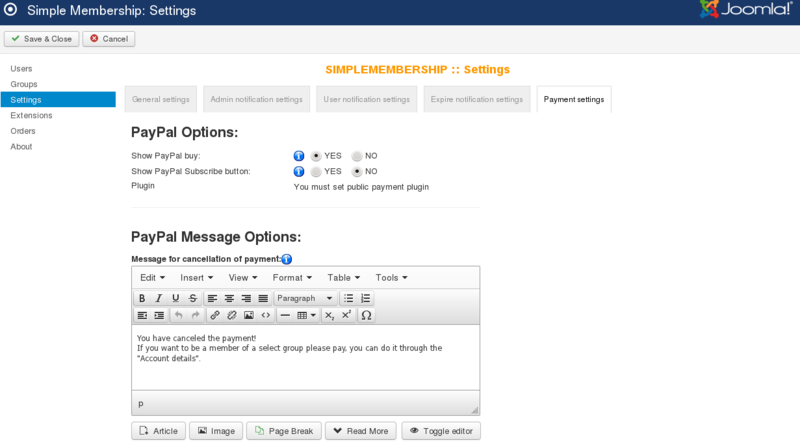 Send message about new user registration - Choose Yes or No for send email to administrator about new user registration. Administrator notification message on account creation - You can add text of message, which administrator will receive. Pre-register message - This post will show above the user registration form. You can fill in this form yourself. Activation message - This message will be displayed to the user, if he going on the activation link on his E-mail. Notification message on account creation - This message will be send to the user after he would registered. Notification message on account enable - Message will be sent to user, if user will be published in admin area by administrator. Notification message on account approved - Message will be sent to user, if user will be approved in admin area by administrator. Notification message on account disapproved - Message will be sent to user, if user account will be disapproved by administrator in admin area. Expire before end notify - Allows send email to admin and to user before user membership expire. 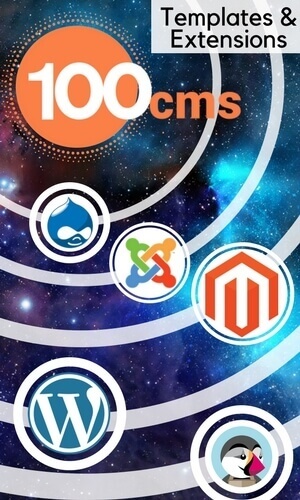 For that you need create GRON job and connect to Cron job. Expire end days - In this field you can specify numbers of days before user membership expire. You put for example 2 days, and before 2 day of expire user's membership he will receive email. 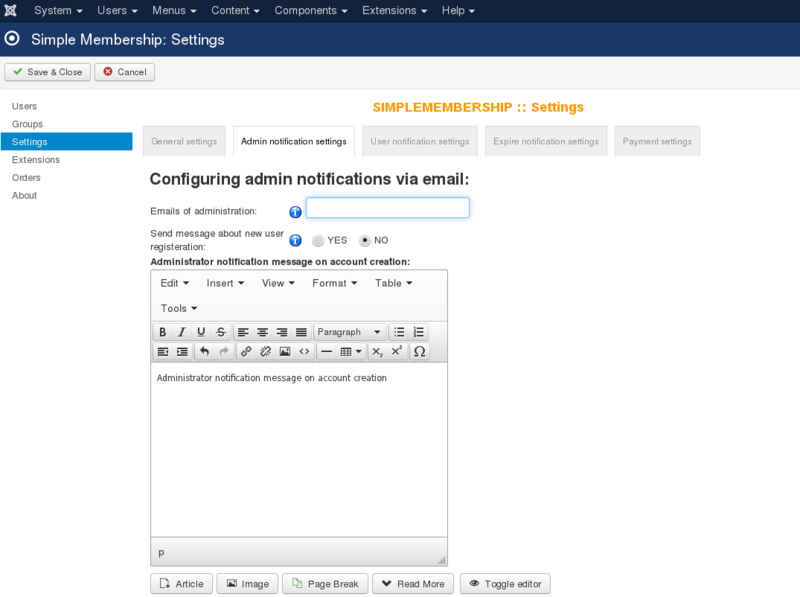 User membership expire end email - Set emails for send notify email to user about user membership expire end. You may set set emails separated them with help coma. PayPal Options - You сhoose Show PayPal buy and Displays buttons allow you to do a recurrent payment through PayPal. Message for cancellation of payment - This message will be show to user, if he will click [cancellation of payment] button and back to your site. 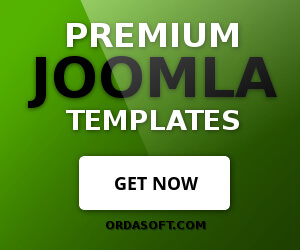 Message for successful payment - This message will be displayed to the user after he makes a successful payment and clicks [the back to your site] button.